CERATIZIT and GRASCHE USA announced today their decision to partner in the distribution of wood working knives and profiling blanks in North America. This partnership represents an important step in the expansion of CERATIZIT’s sales network, benefiting from GRASCHE USA’s established contacts and responsive approach to customers in the wood working industry. CERATIZIT S.A., Mamer, Luxembourg (headquarters) and GRASCHE USA, Hickory, North Carolina, August 18th, 2014. Customers will now have the option of ordering standard knives and blanks from GRASCHE USA’s facilities in Hickory, North Carolina, for next day deliveries or to contact CERATIZIT's service center in Warren, Michigan, for factory deliveries. Like in the past, knives and blanks will continue to be manufactured at CERATIZIT’s head plant in Mamer, Luxembourg, as well as at its production facility in Warren, Michigan. "Through this cooperation, we will be able to deliver more value to customers, particularly for urgent deliveries of standard off-the-shelf products in all kinds of quantities" says Tim Tisler, President of CERATIZIT USA. "Our goal is to expand our capabilities and provide the best possible service and support to customers in all areas of our business." "GRASCHE USA has enjoyed long-standing relationships with customers in the USA and in Canada", added Klaus Jensen, President of GRASCHE USA. "We are excited about adding CERATIZIT's knives and blanks to our portfolio. Their quality and the technical support behind the product are outstanding. This is the kind of focused service and quality product we want to provide to our customers. Dealing direct with the state-of-the-art production facilities and product experts in Luxembourg will be a win for GRASCHE USA and its customers". Teams from both companies will be present on CERATIZIT’s booth #7573 at IWF Atlanta on August 20-23 2014 to provide more information about the partnership and the product inventory readily available at GRASCHE USA. GRASCHE USA is the premier supplier of quality custom saw bodies ready for tipping. The plates are laser-cut, heat-treated, reamed, surface-ground, and hammered by expert craftsmen. 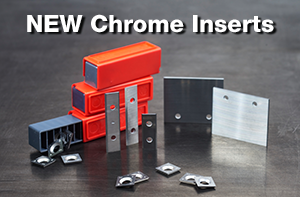 GRASCHE offers top-quality, fast delivery, and competitive pricing on all standard and custom saw plates. For over 90 years, CERATIZIT has been a pioneer developing hard material solutions for cutting tools and wear protection. The family owned company, headquartered in Mamer, Luxembourg, develops and manufactures highly specialized tungsten carbide cutting tools, inserts and rods. 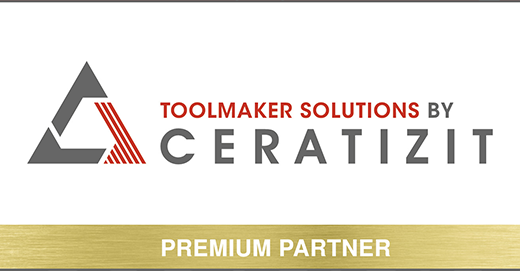 CERATIZIT is the market leader in several wear part application areas and develops successful new types of hard metal grades used in the wood and stone working industry. With over 5,300 employees at 22 production sites and a sales network of over 50 regional offices, CERATIZIT is a global player in the hard metal industry. The leader in material technology is continuously investing in research and development and holds over 600 patents. Innovative hard metal solutions from CERATIZIT are used in machine and tool manufacturing and many other applications including automotive, aerospace and oil and gas. The internationally recognized group also includes the brand WNT, the joint venture partnerships with Günther Wirth and CB-CERATIZIT, as well as the Californian tool manufacturer PROMAX Tools.